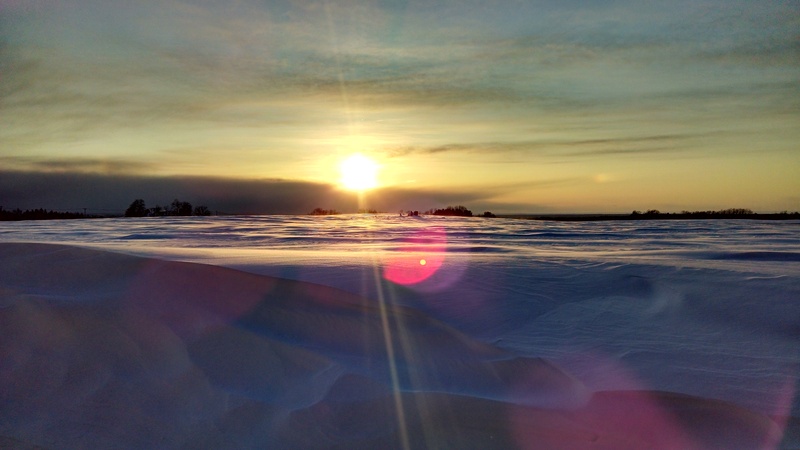 The Farming Daughter – Page 4 – Jesus said, "I have come that they may have life, and life to the full." 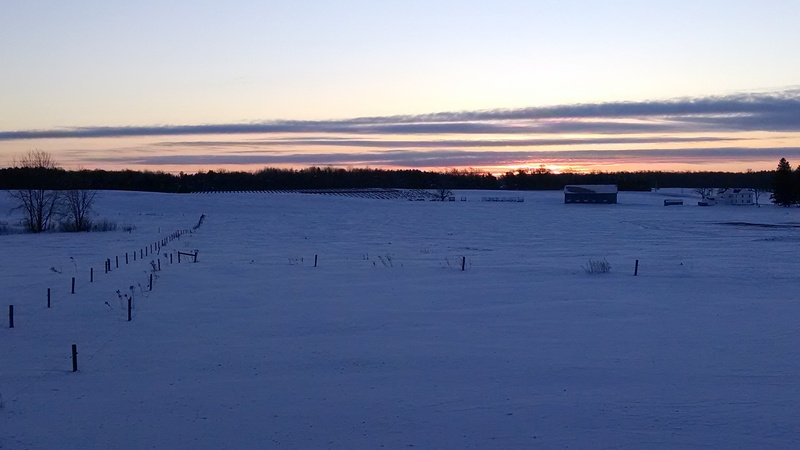 Whenever I talk about our farm during the winter, the first question I get asked is, “How do cows do with the cold?” Actually, cows tend to prefer cold weather over hot. Their thick hides (7x thicker than human skin on average), hair, and unique heat-producing digestion mean that a cow’s favorite temperature is between 40° and 65° F. Of course, it gets colder than that during the winter and we want to make sure our cows are safe and comfortable even if a blizzard is blowing outside. So how do we do that? One of the most critical things is proper housing. 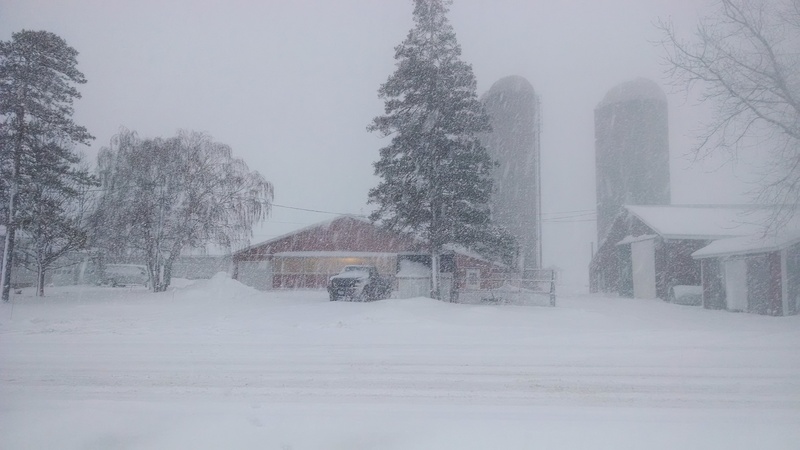 A cow needs a clean, dry environment that shelters her from wind and snow. Our cows are housed in a “free-stall” barn and can choose to walk around, eat, drink, lay down, or socialize whenever they want. 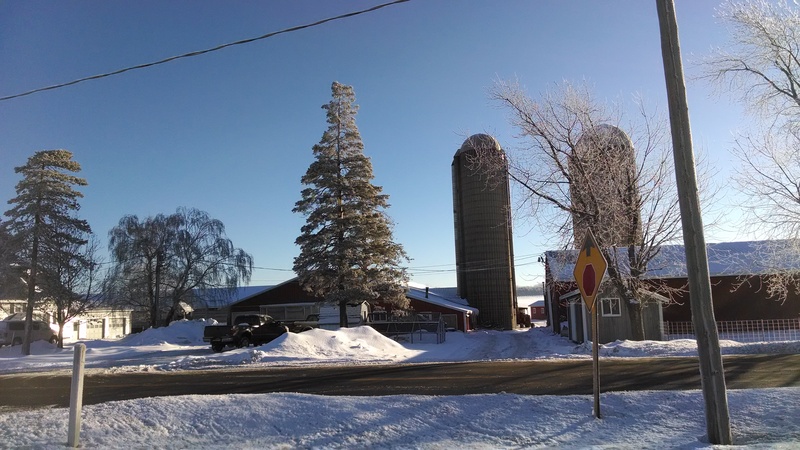 During the winter, curtains on the side of the barn are raised to block the wind, but on milder days they can be lowered to let in some fresh air. 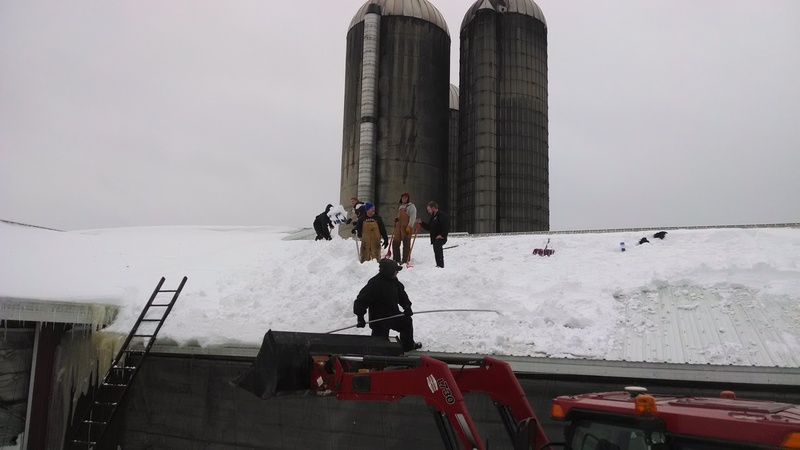 Keeping the cows in the barn during winter ensures the cows never get wet or chilled and protects them from possibly slipping and injuring themselves outside. A few of the girls resting in their freshly groomed stalls. It is also important that a cow is receiving plenty of high quality feed. A cow’s largest stomach compartment is her rumen, which she uses to ferment her feed for digestion. 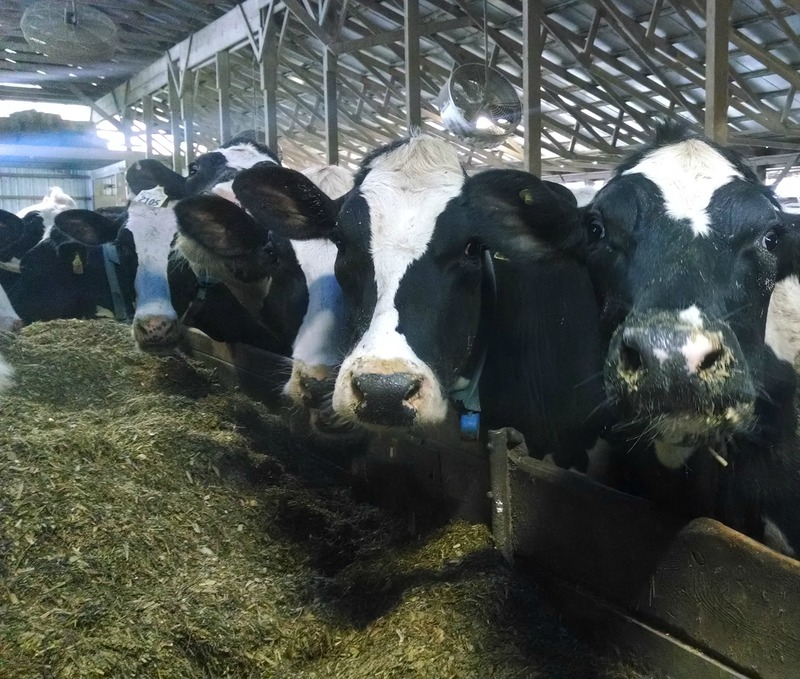 This fermentation produces heat and, “is beneficial by helping dairy cows prevent a decline in body temperature” (Cooperative Extension, University of California, Davis). We feed our cows a special diet of grass, silage, straw, and grain using a recipe that our dairy nutritionist formulates for us. This ensures that our cows are getting the perfect amount of energy, protein, fiber, and nutrients that they need. 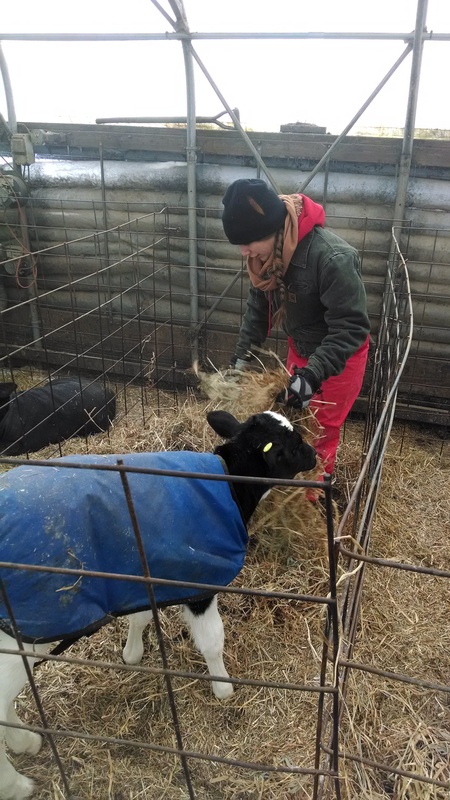 While adult cows handle the cold well, our baby calves require special attention. 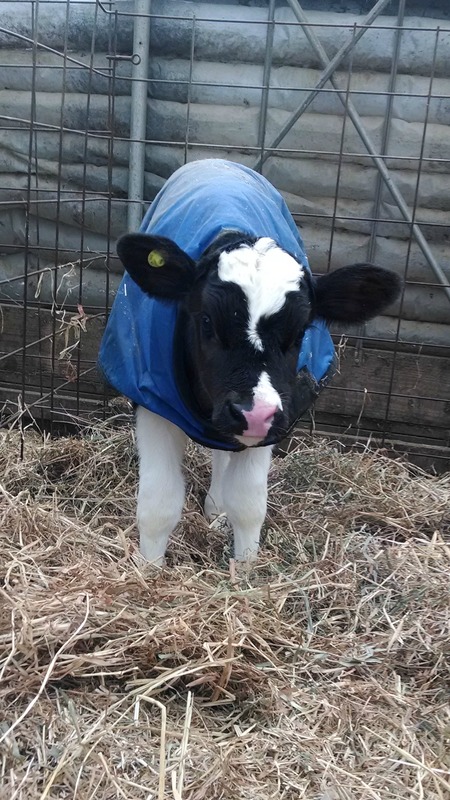 Since a calf’s surface area to body mass ratio is higher it’s easier for them to lose heat. Like the cows, our calves are housed in a barn with a curtain that can be raised or lowered depending on the temperature. Our newborn and small calves are each kept in their own pen so we can monitor them individually and make sure they are eating properly. 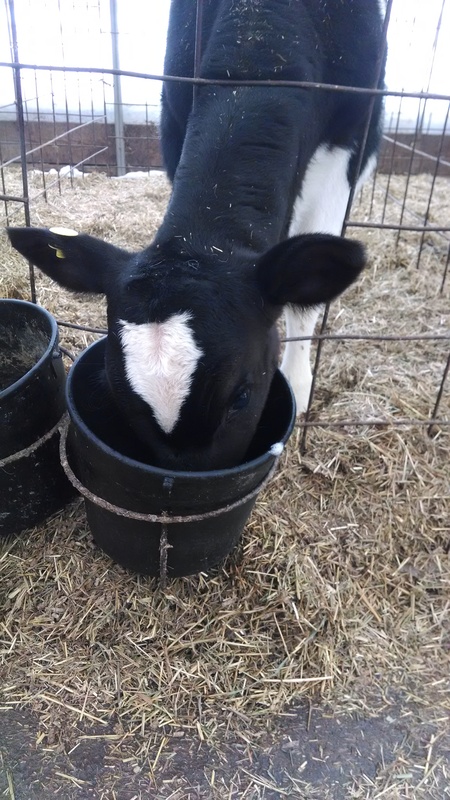 We feed our calves two times a day, and the milk is warmed before we serve it. We also use warm water for them to drink. 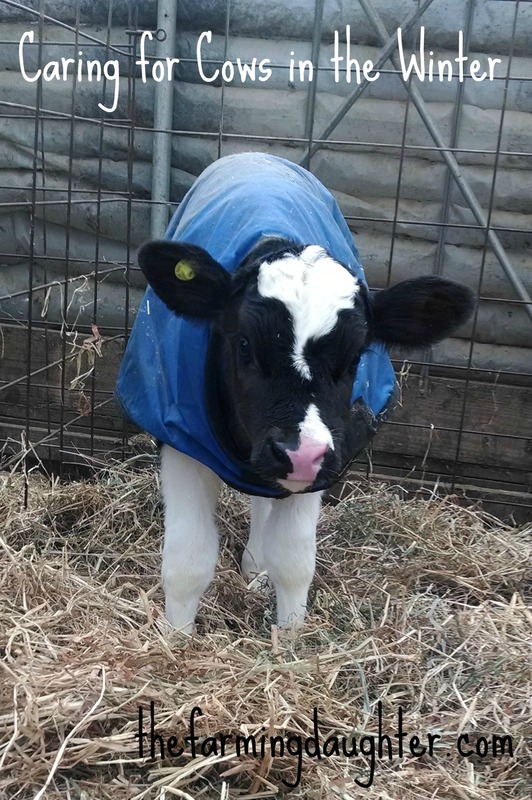 Each calf wears an insulated blanket or coat that helps keep them warm. 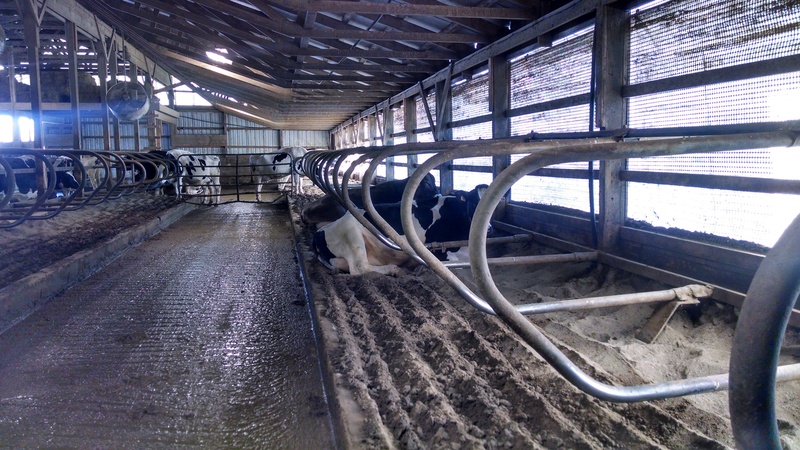 Twice a day we add fresh bedding to the pens so the calves stay clean and dry. 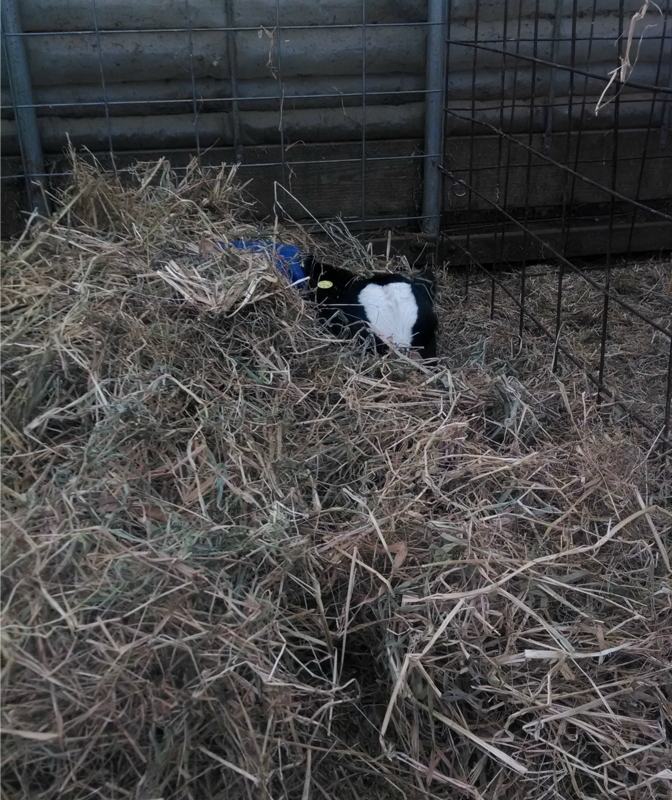 We also put fluffy straw in the little calves’ pens so they can snuggle down and nest in it. The older calves are housed together in group pens. We feed grain twice a day with free access hay and water. 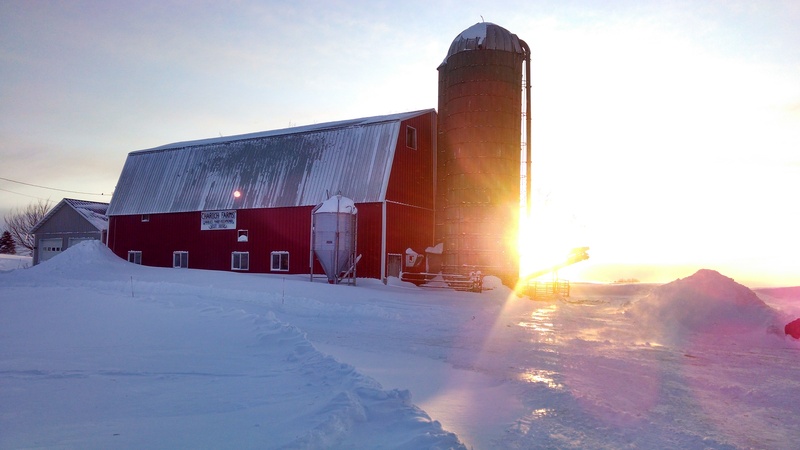 It’s important to us that our cows are warm and comfortable, even in the middle of a western NY winter! I took a short video of one of our calves playing in the bedding we added to her pen. You can watch it here. 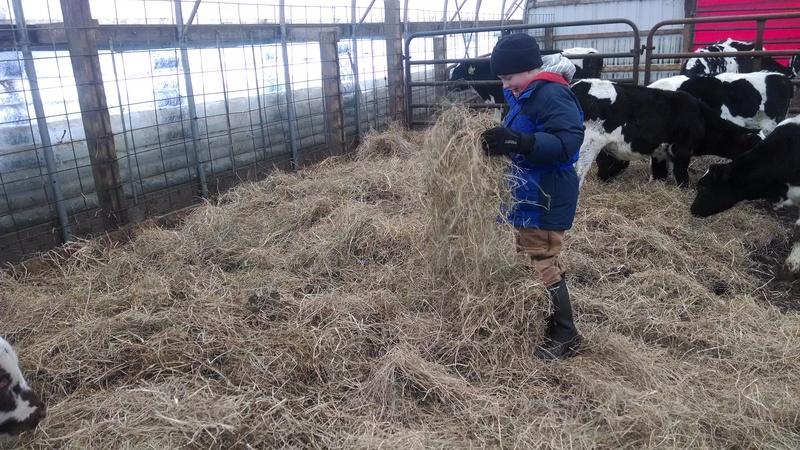 To learn more about winter cow care here’s a short article about How Cows Stay Warm in the Winter. 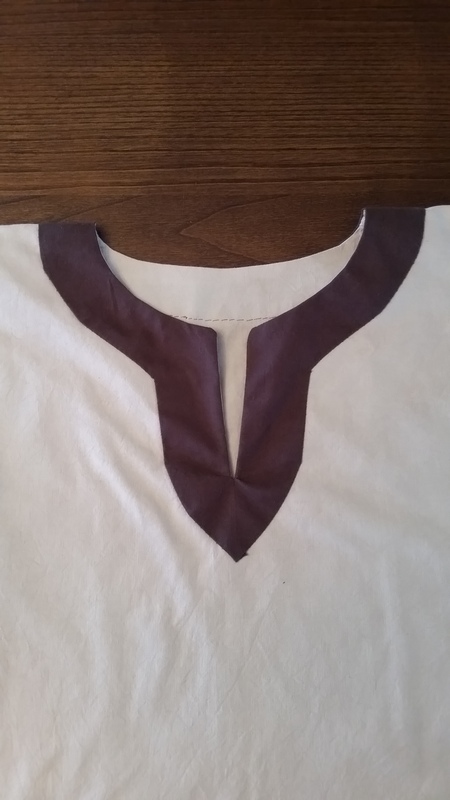 Yesterday I posted about the tunic I sewed for a friend’s Braveheart costume. 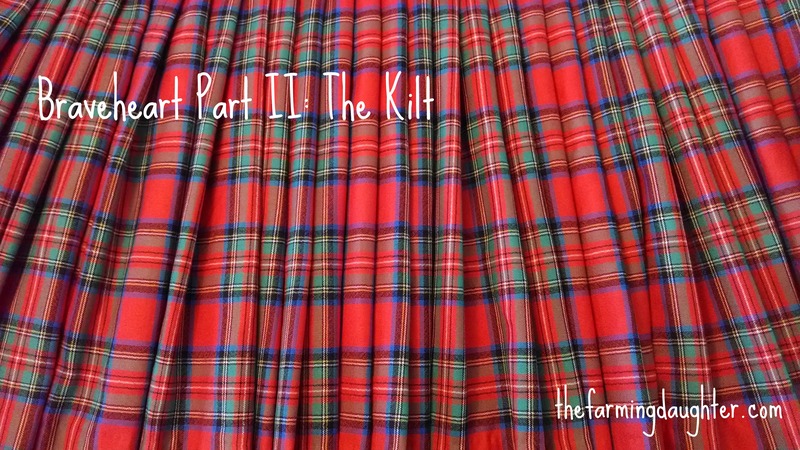 Today I’ll share about the exciting part, the kilt! 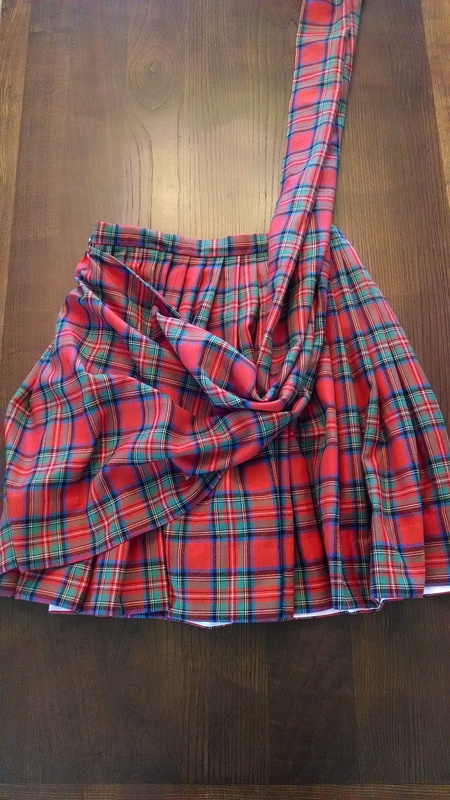 First I’ll say, there has probably never been a kilt quite like this one ever sewn before. 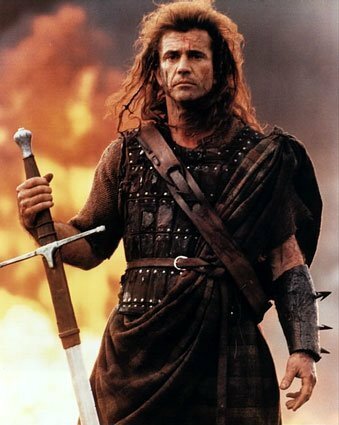 The main object was to make the kilt look like the one William Wallace wears in Braveheart. 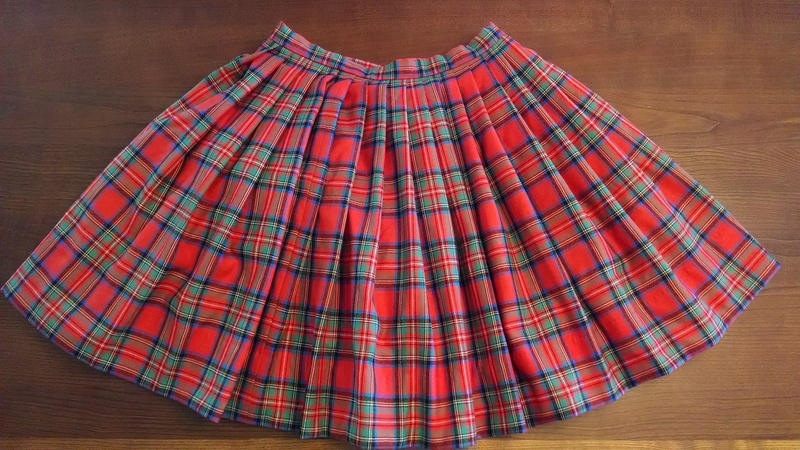 The movie kilt is a version of the Feileadh Mor, or “Great Kilt”, which is traditionally a large piece of wool, 60 inches wide and up to nine yards long. Each time the garment is worn it has to be re-pleated and then belted around the waist. 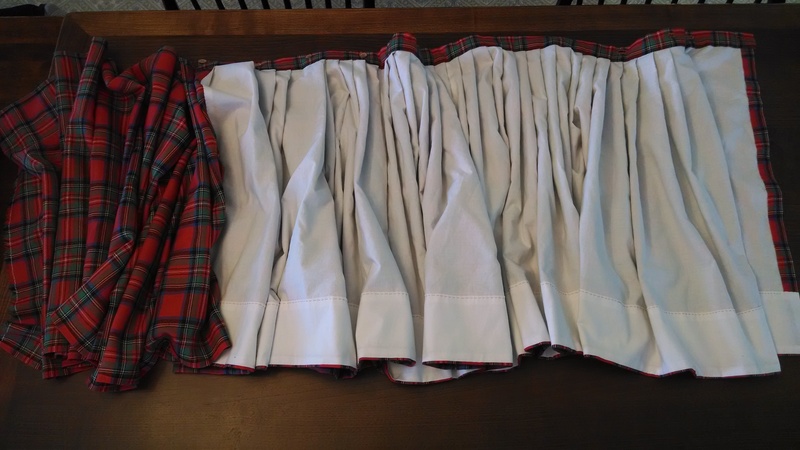 My objective was to sew a faux Feileadh Mor that didn’t need to be re-pleated each time it was worn, and that only used 3 1/2 yards of 54″ wide material. The good news is, I have a hunch that the movie kilt used some cheater tricks also. I settled on a design featuring a wrapped, pleated skirt and then a piece of fabric extending off the end to drape over the shoulder. The fabric that I used was a gorgeous 8 oz. 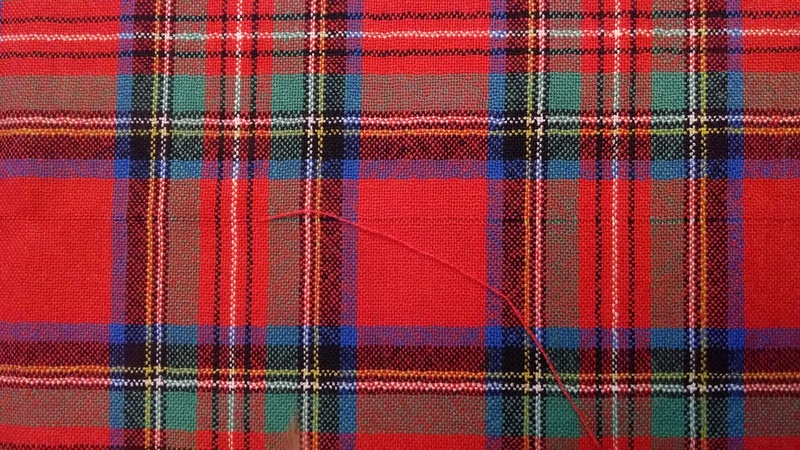 Scottish wool in the authentic Ancient Royal Stewart tartan design. I chose not to prewash the fabric because I didn’t want it to lose its finish or become fuzzy. First I measured and cut the fabric, pulling a weft thread to make sure I was cutting on grain. Then I sewed the breadths together to make a piece 24.5″ wide and 270″ long, being careful to match the design of the plaid. The wool was rather lightweight so we decided to line it with white Kona cotton to give it some body. I used “Mrs. Pullan’s Skirt Lining Technique” taken from the 19th century book Beadle’s Dime Guide to Dressmaking. To sew the lining you lay the fashion fabric and lining fabric wrong sides together, fold back the fabric to expose the first seam allowance, and join the two pieces together by sewing through the seam allowance (you can read a better explanation of the technique here). I didn’t use this method to be “authentic” or anything, but because it provides a tidy lining, with no raw edges or stitches showing. 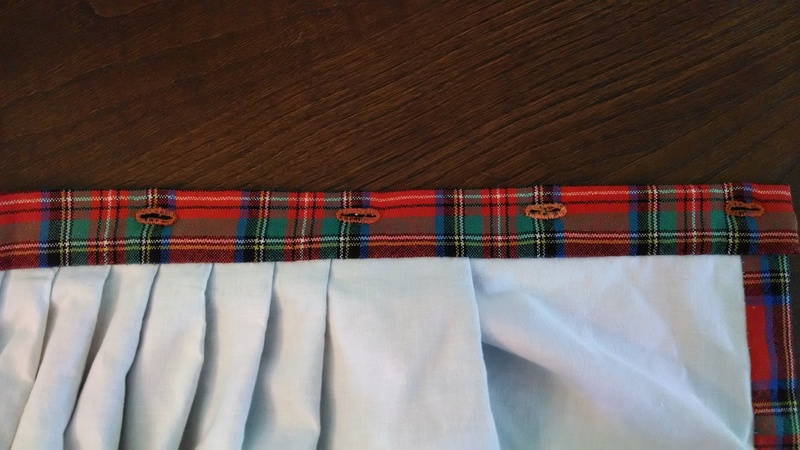 60″ inches of the wool was kept unlined to use as the part of the kilt that drapes over the shoulder. 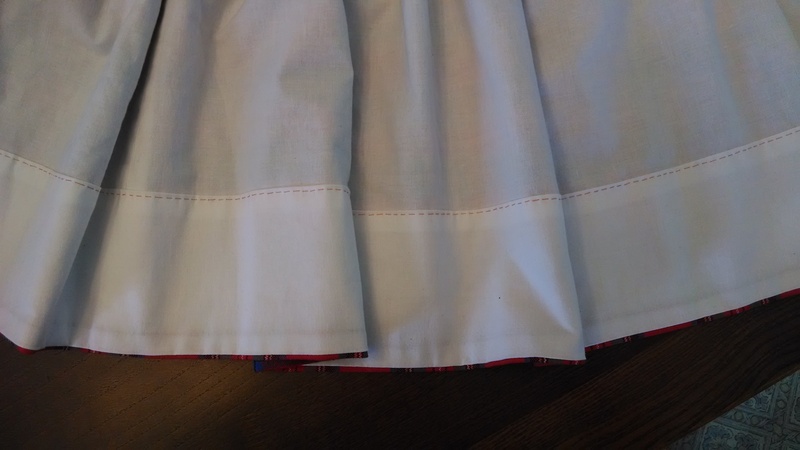 To finish the edges of the unlined part I hand sewed a narrow turned hem. 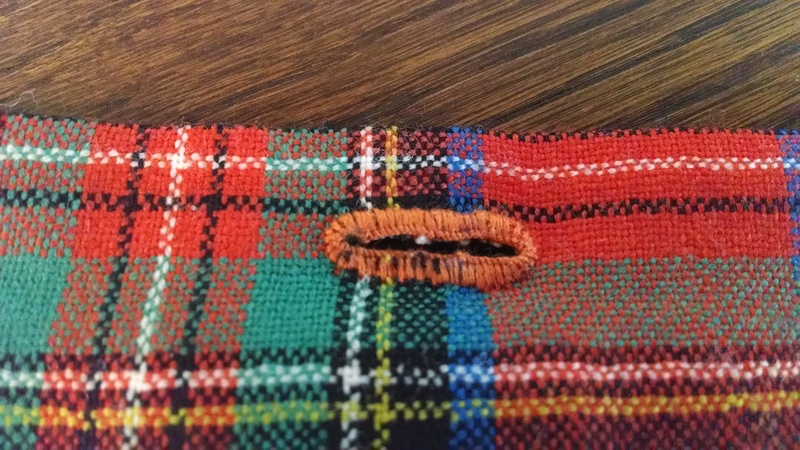 For the lined part of the kilt I put in a faced hem. 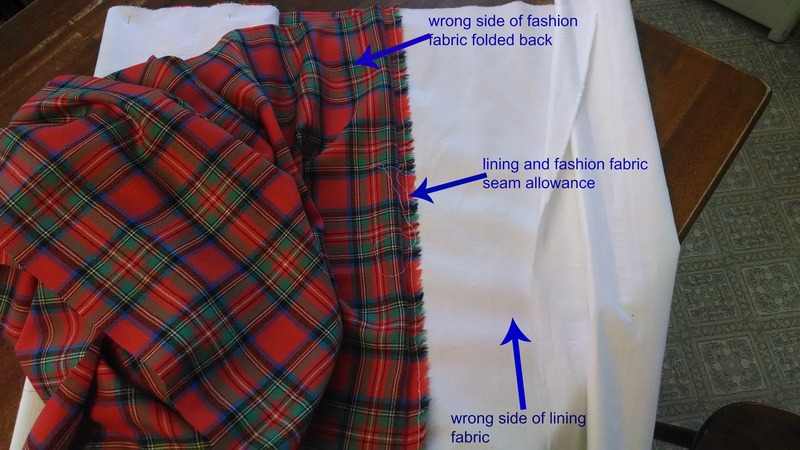 This technique uses only a 1/2″ of the fashion fabric, while giving body and weight to the bottom edge of the garment so that it will hang nicely. The facing was sewn on with the machine and then finished by hand so the stitches wouldn’t show on the right side. 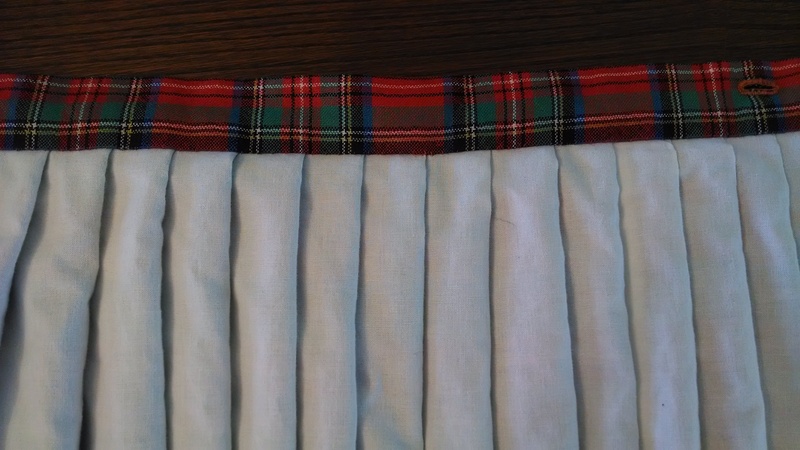 I knife pleated the skirt and set it to a waistband, using a slip stitch to finish it off. 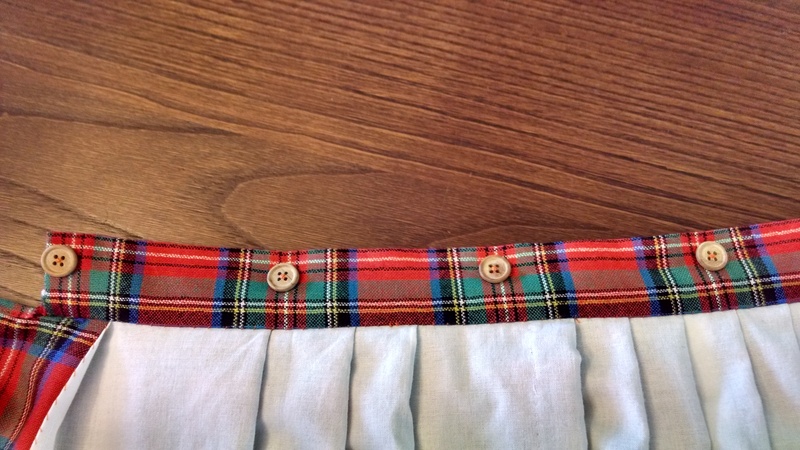 The final step was to put in four wooden buttons and hand sewn button holes. Only this little scrap was left! Hours to complete: Maybe 20? Recently, I finished sewing a neat project for my friend Stewart. 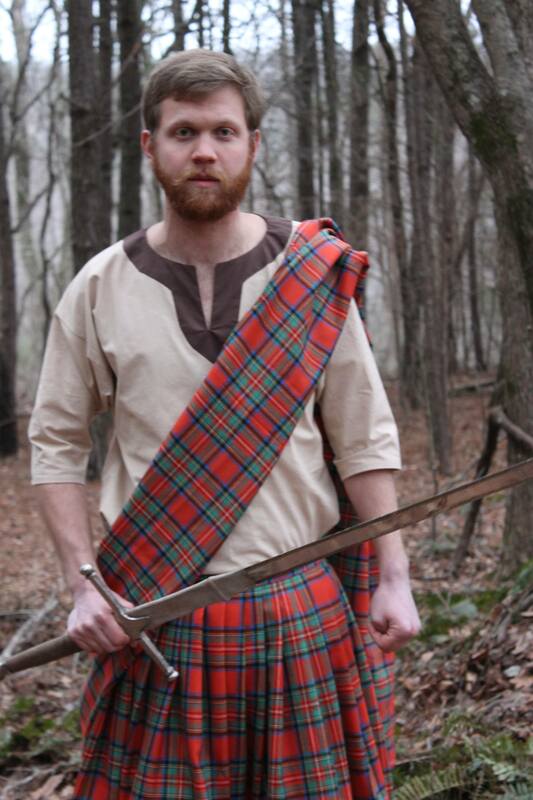 Stewart has Scottish ancestors and is a fan of Braveheart, so he asked me to make a kilt and tunic similar to the one William Wallace wears in the movie. It was fun sewing a “costume” that didn’t have to be 100% authentic for a change. 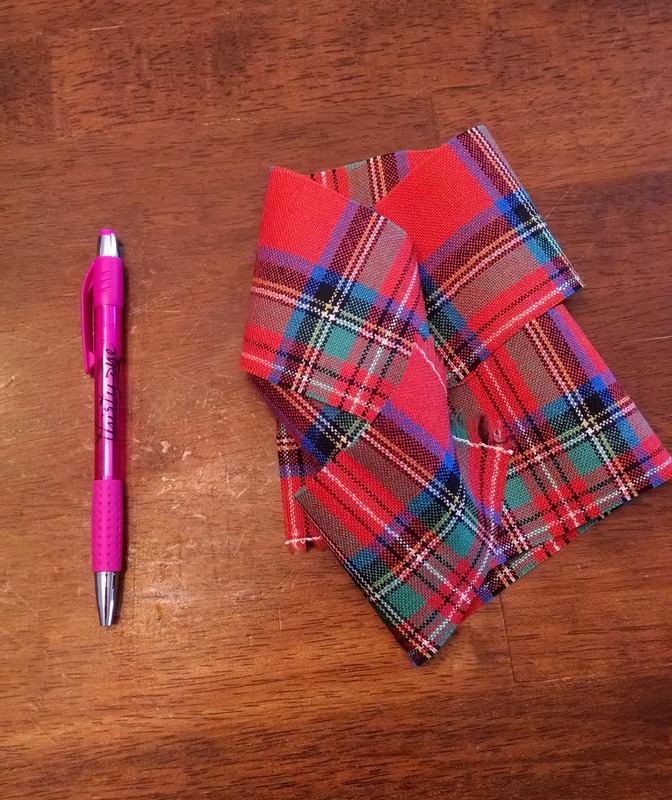 This post will be focus on the tunic, and part two will show the kilt construction and completed outfit. I had just enough cotton material left over from constructing the kilt that I thought I could squeeze out a tunic. It was difficult to find any clear pictures from the movie of just the tunic, so I decided to base it off of the Bocksten Tunic. 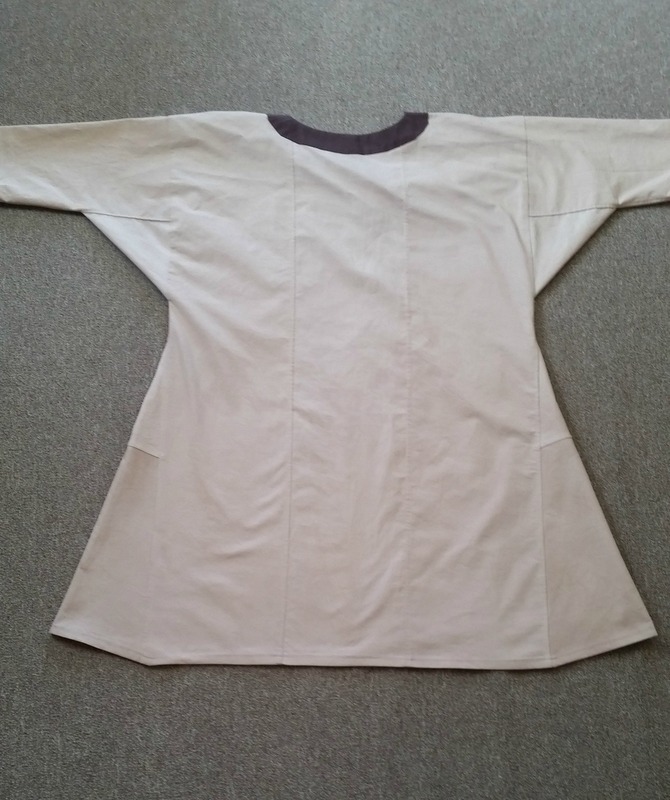 This style of tunic is accurate for the 13th-14th centuries (when William Wallace was alive), and is cut to use fabric economically (which was good since I didn’t have much material). The cotton fabric I had was white, so I used tea bags to dye it a more “natural” color. I boiled a big pot of water, and steeped about thirty of the cheapest tea bags I could find. Then I submerged the fabric in the dye and let it soak until I thought the color was dark enough. To prevent the color from being mottled I made sure to frequently stir and turn the fabric so all of the material who absorb the dye evenly. Finally, I wrung the extra tea out and dried the fabric in the dryer on high to “set” the dye. I drafted my own pattern, using this tutorial as a guideline. I took measurements off a T-shirt to give me a general idea on sizing. 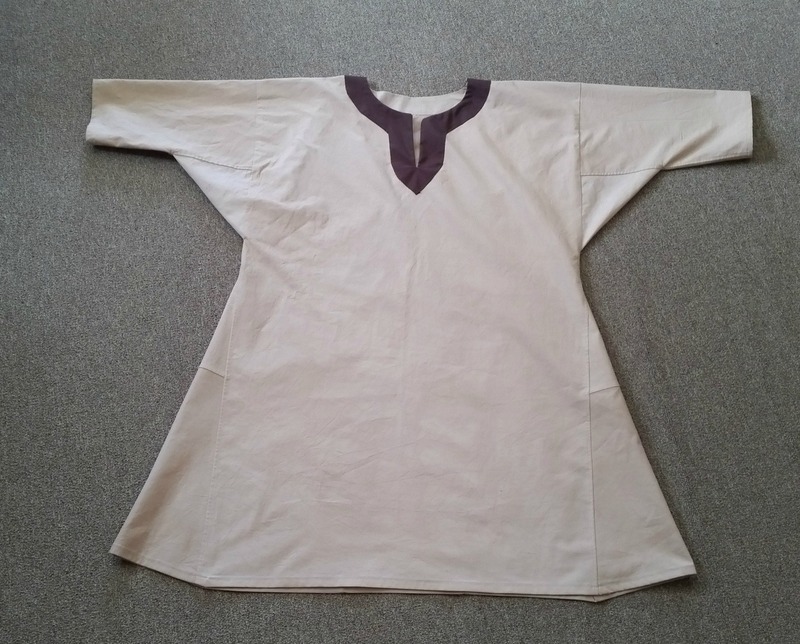 The tunic is a very simple style, with two big rectangles as the front and back. Since I didn’t have much material I had to piece three rectangles together for the back. The sleeves are elbow length and are made of tapered rectangles with square gussets. 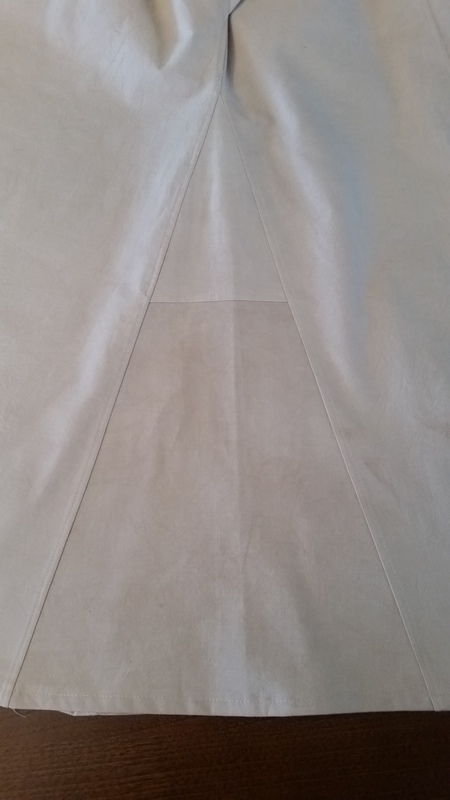 A triangular gore is added to each side of the tunic to add width. The gore also had to be pieced due to my small amount of fabric. 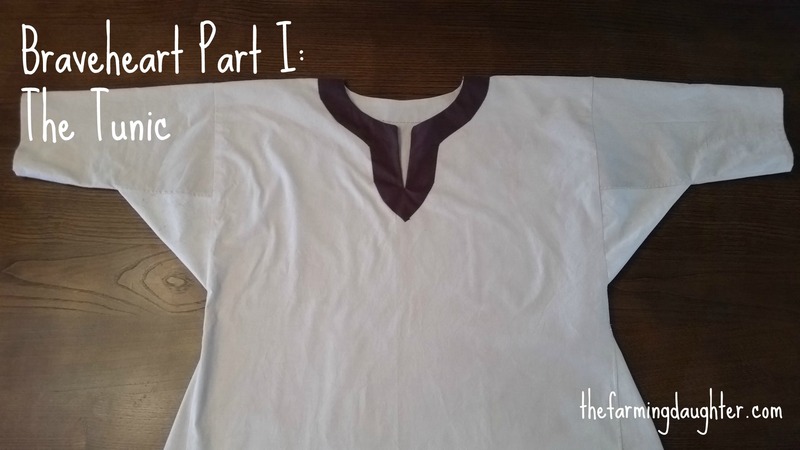 I drafted the keyhole neckline facing following the instructions from this tutorial. Since authenticity wasn’t a big issue, I used the sewing machine for all of the seams except for the slip stitch on the neckline. 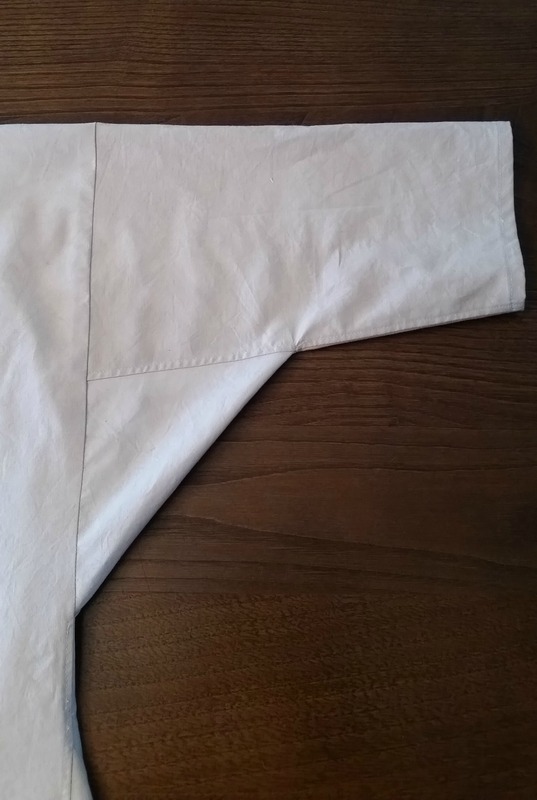 The bottom of the tunic and sleeve edges have a narrow turned hem. All of the seams, except where the sleeves are set in, are flat felled for durability. 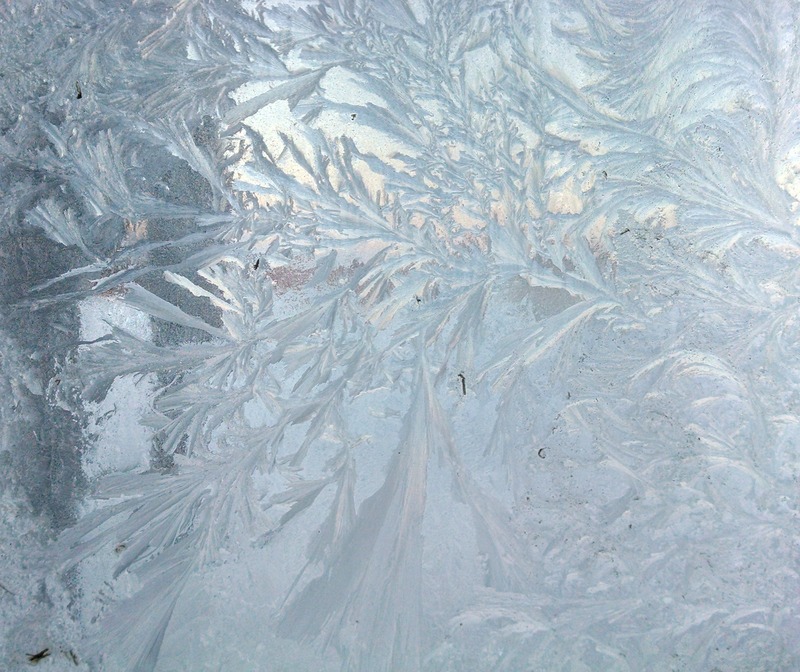 Winter came early in November this year, and we’re still firmly in its icy grip. 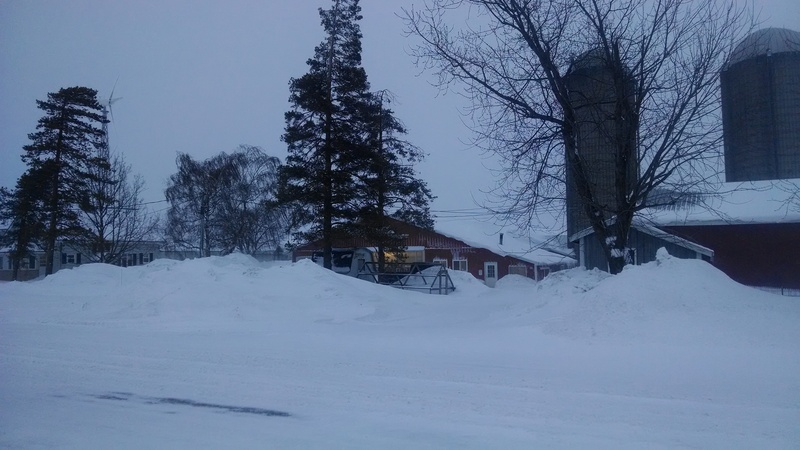 We have so much snow we’re running out of places to pile it! 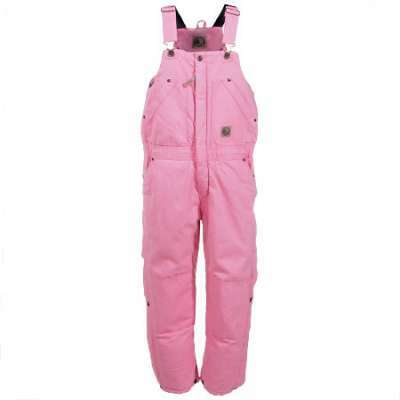 I am definitely thankful for my heavy duty insulated Carhartt overalls this year! 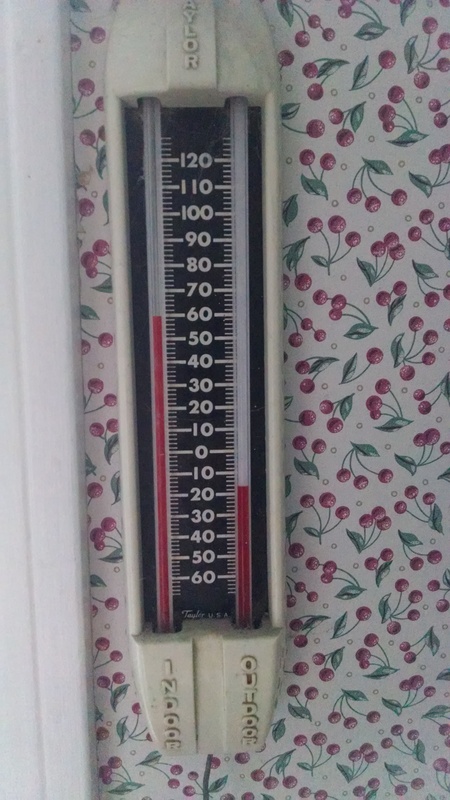 The good news is, the cows are all snug in their barns and are handling the cold weather just fine. 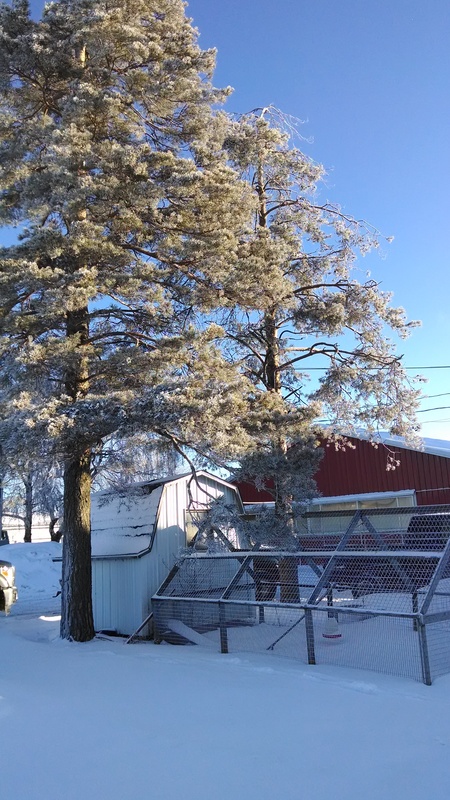 I thought I’d share some of my favorite “winter on the farm” pictures I’ve taken so far. 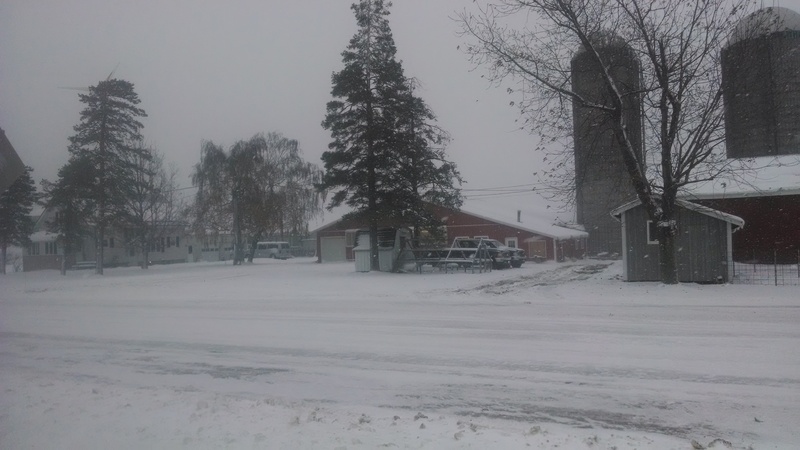 First, some pics from Winter Storm Knife that hit us in mid November. 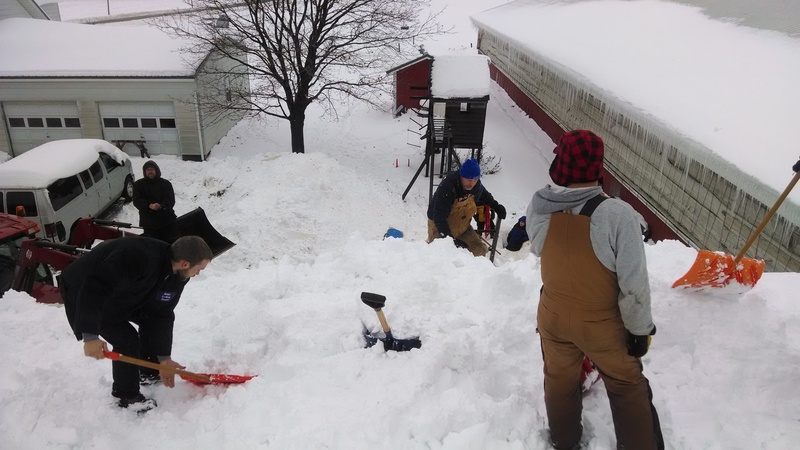 We were very blessed not to get as much snow as other places, but we still spent a day shoveling off the barn roofs. 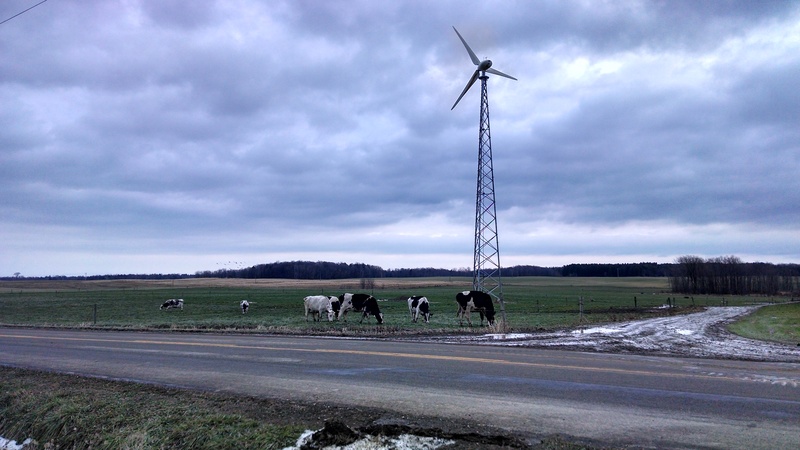 Only a week after the storm it was warm enough to let cows out to pasture! 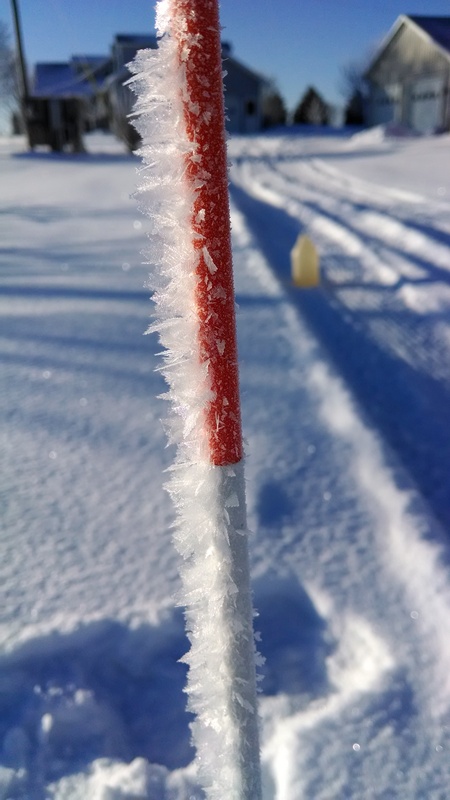 I found these “snow feathers” on some of the driveway stakes and thought they were so delicate and pretty! 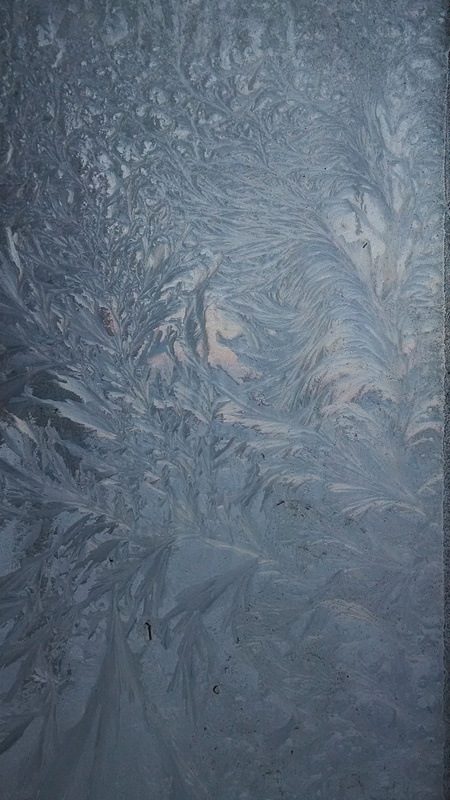 The frost on the windows is also very beautiful. I hope you are all keeping warm! Many of my friends have been asking about how our cows do during the winter, so I’ll be posting about that soon! In Uganda, 1 in 6 children under the age of 17 is an orphan. At least 1,400 of these orphans live abandoned and neglected in orphanages/prisons. 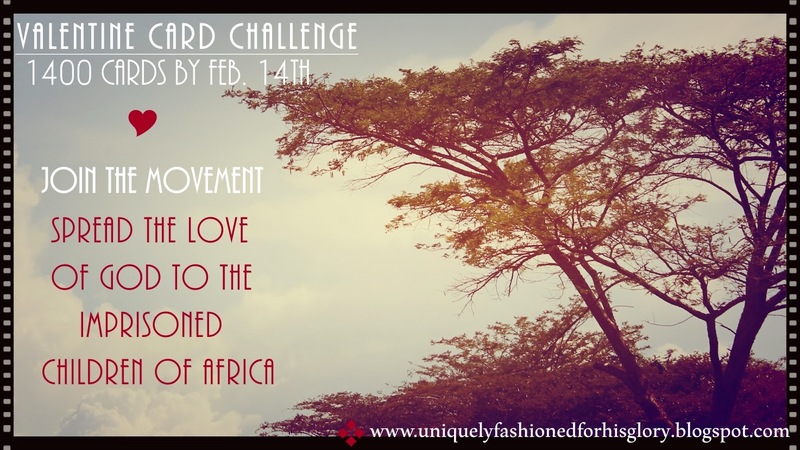 Crista Moriah over at Uniquely Fashioned for His Glory has an ongoing Valentine Card Challenge to send cards and the message of God’s love to the imprisoned children of Uganda. You can partner with her by making a homemade card so that each child receives one. 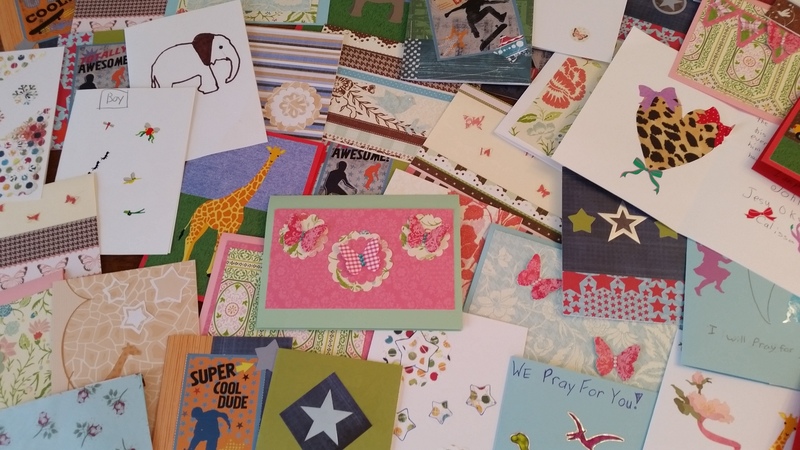 See all the details and where to send your cards here. To learn more about the imprisoned children of Uganda check out Sixty Feet Ministries. Just to let you know, the blog says “by February 14th”, but Crista Moriah told me they’re still accepting cards. Addison and I attended a Young Cooperators meeting Thursday. These “YC” meetings, hosted by our milk co-op, are always a great learning and leadership-building opportunity for those of us in the 40 and younger crowd. This time was no exception! We were talking about social media and using it as a tool to reach out to our consumers. 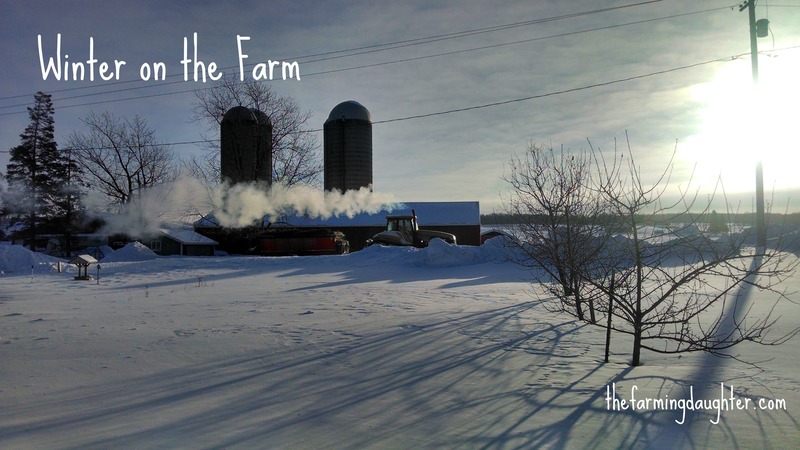 It really inspired me to start posting more about our farm and cows, I am the Farming Daughter after all! My favorite part of the meeting was listening (and getting to talk to!!) our special guest speaker Carrie Mess. 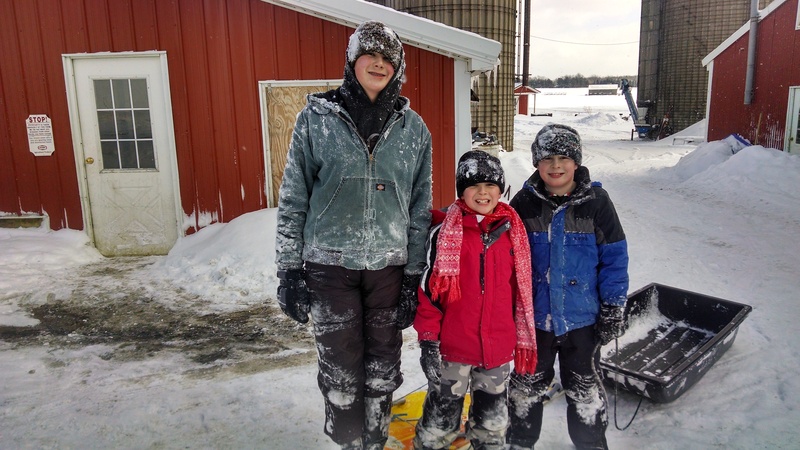 Carrie blogs over at The Adventures of Dairy Carrie and writes about farming on a 100 cow dairy in Southern Wisconsin. She had some great advice about “telling our story” and gave us the challenge (which I’m going to try) of posting at least once a week. If you’ve never read her blog I suggest you check it out! Just the (dairy) facts: 29 facts about dairy!